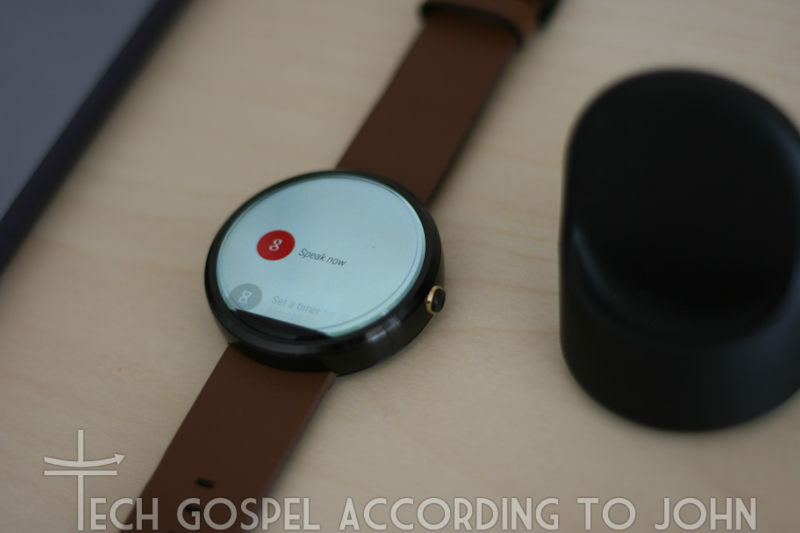 There have already been several 'first look' reviews on the Moto 360. I've had mine for several months now and have gone through several apps and updates. 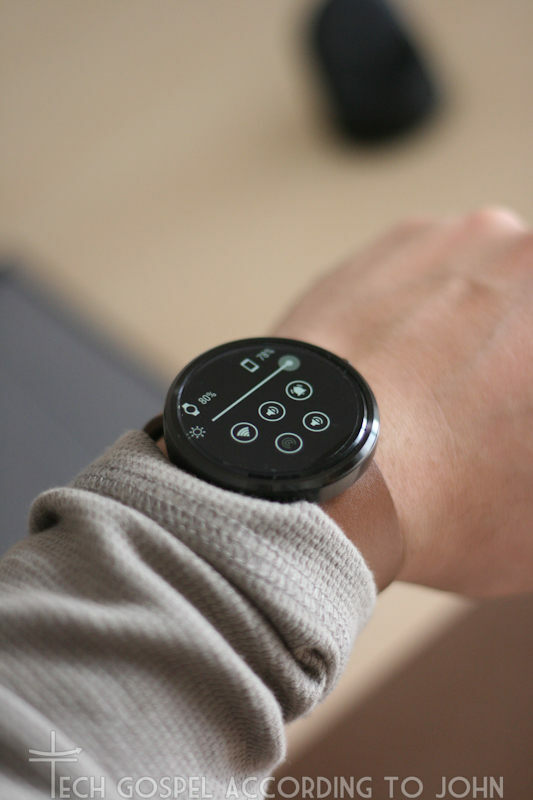 I think it's time for me to give a very in-depth real-world review on owning the Moto 360. 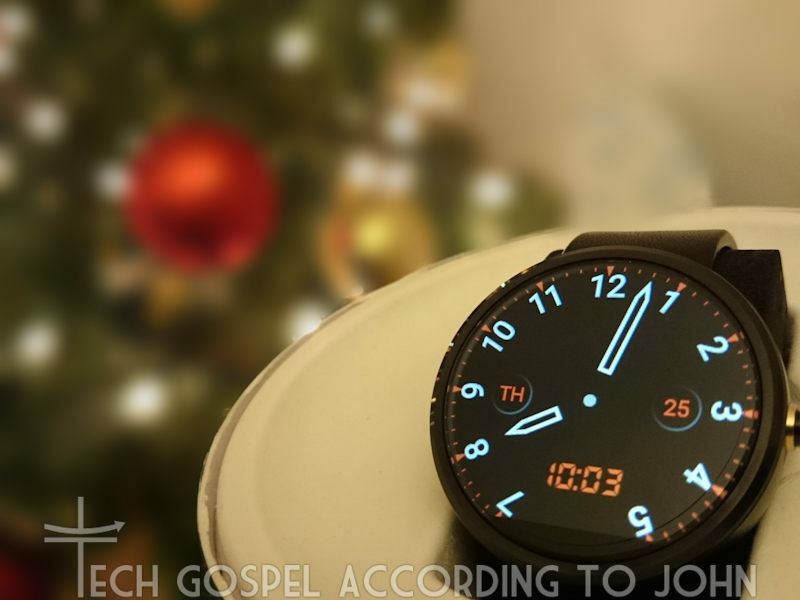 I had gotten my Moto 360 as a surprise advanced Christmas present from my wife last October. (I had been checking out the other Android Wear watches at the time and still preferred the 360 because of its design) Although this isn't my first SmartWatch, it is my favorite. I've had both Sony's SmartWatches in the past and both were excellent for my purposes. I had gotten rid of the first one, I still have the SW2. 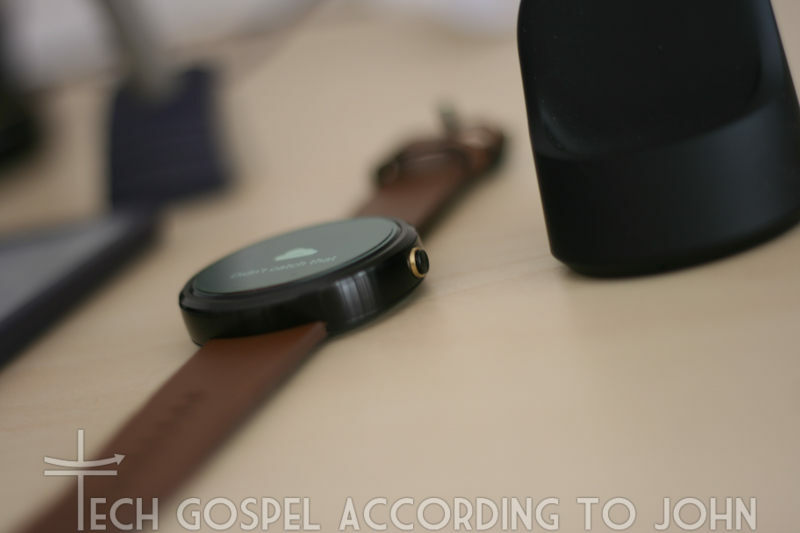 How different is the Moto 360? Quite a jump as it is running Android Wear, vs Sony's own OS. If you're one of those that expect to cram your entire phablet's functions on your wrist, you have missed the whole point of smartwear. Skip ALL these products and just get an armband case for your phone. My favorite part about the Moto 360 is the over-all sleekness of the watch. It's simple, clean, and classic. No fake diver bezel, no 'luxury' aspirations (let's be honest, no smartwatch at the moment will EVER replace a Rolex). It's a great watch that I can wear with almost anything (as long as you change the strap) without it looking out of place. Battery life with the latest firmware (5.0.1) is 'ok'. It improved over the original one, but only by a few hours. However, this is also due to the increased usage. I have gotten as much as 2 days with minimal use. Prior to the update, my watch barely lasted 24 hours. But playing with your watch a lot will kill your battery in about 12 hours, regardless of firmware version. Hehehe. There are a few things I would like to emphasize to potential smartwatch buyers. This will NOT replace your phone, nor will it duplicate all its functions. Try and minimize the use of any smartwatch to urgent notifications only. Not because it can't handle it, but this defeats its purpose completely if you're glancing at your watch every 5 mins. I've had 3 generations of smartwatches, and 4 months with the Moto 360, and I fully appreciate how a smartwatch can augment (not replace) your phone. The following features are common to Android Wear and can be downloaded to any Android Wear watch. These are not exclusive to the Moto 360, but these reflect how I use my Moto 360 on a daily basis. First: Calls/SMS. This is probably the most important thing your watch can do. Notify you of a call, and the ability to reject it. This allows very discreet call screening without looking like a hunchback fiddling with your phone at all times. This holds true for SMS as well, some messages aren't worth replying to, and some aren't worth whipping out your phone for. I'll get to my favorite SMS app for Android Wear in a future article. Second: Email. Aside from Gmails filters, my phone also has notification filters that read out incoming email so I'll know if its important enough to open right away. My Moto 360 even filters that out further by allowing me to delete email as they come in. Fifth: Device locating. Although not an über-fancy feature, it is probably one of the more practical functions of having a smartwatch. Being able to buzz your phone without having to have someone call it, or have your watch buzz you if you forget your phone, is one of the handiest apps you can have on your smartwatch. One, glove mode. So far, no smartwatch has the capability to function with winter gloves on. Sony's current Xperia line has a glove-mode that allows use of the phone without having to remove gloves, or buy 'touch capable' gloves. Two, much better battery life. I don't mean 2-3 days, I mean 1 solid week. 2-3 days can probably be done with current tech and updated firmware, but 1 week would mean different screen (transreflective or more efficient LED backlighting) or better battery tech. Hoping that this will be possible within the next 2 generations. Another alternative is a solar panel built into the touchscreen, or a mechanical generator similar to Seiko's Kinetic. Three, better environmental protection. IP67/68 ratings may be good enough for smartphones, but wristwatches are exposed to greater environmental conditions. The Moto 360 is IP67 rated, but it can only handle temperatures down to -10ºC/14ºF and no shock/mechanical IP rating. Considering that smartwatches are not 'formalwear', they should have basic 1m drop protection and operating temperature down to -20ºC/-4ºF. I've had to leave mine at home several times this past winter because I didn't want to risk damaging the screen in the cold. Four, a speaker or some kind of audio feedback. Even a beep or chirp capability would be quite helpful if a full range speaker wouldn't be possible without taxing the battery or increasing the size of the watch. I don't really want to be able to take calls on my wrist, but alarms and notifications would be nice to hear. I'm really happy with the Moto 360. Although Android Wear (and wearable tech in general) is still in its infancy, I feel it's steadily improving over time. Motorola has been quite good at maintaining the firmware and the abundance of great apps has made the 360 exceed my initial expectations for a current generation Smartwatch.